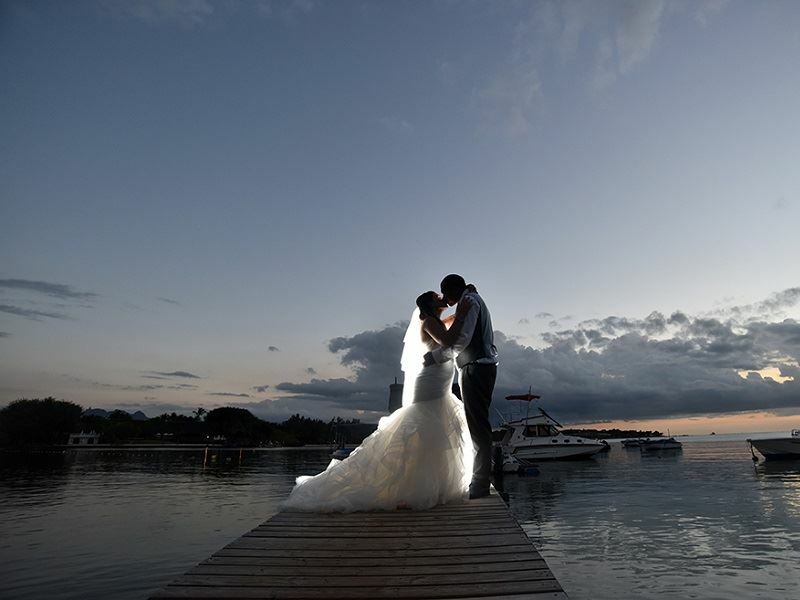 We wanted a wedding that entailed a holiday with as little stress as possible. 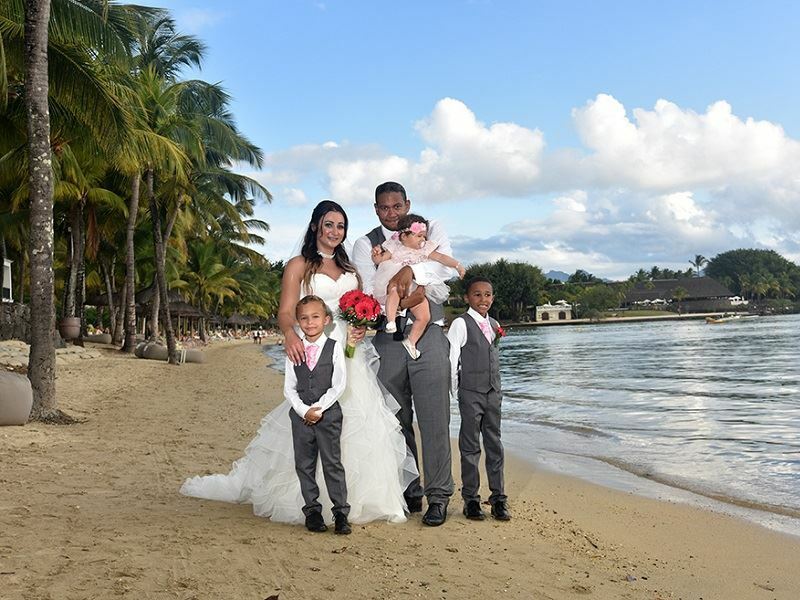 We had our eye on the Ravenala Attitude in Mauritius as it looked incredible and it has a number of family suites, which was ideal for us as we were travelling with our three children, one of which is a baby. 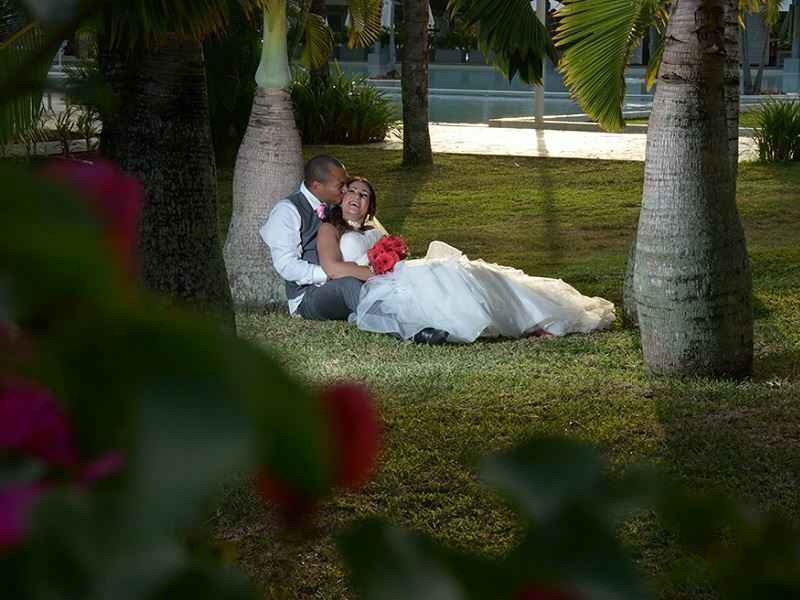 We opted for the Premier Wedding Package; the staff at Tropical Sky were extremely helpful with everything and were very quick to respond to each of our emails so we didn’t need to worry about anything. As soon as we arrived we felt comfortable and relaxed. The resorts setting was beautiful… powdered white beaches, glistening ocean, gorgeous gardens and picturesque mountain peaks in the distance. The service was five star throughout, and the resort’s staff really catered towards our whole family’s needs. Our wedding day was wonderful, from stepping in the soft sands of the beach to get married, to our divine five-course lobster dinner, everything was perfect; the flowers were a beautiful touch that made the jetty even more special, I wish I could have bought them back home as they were so pretty. 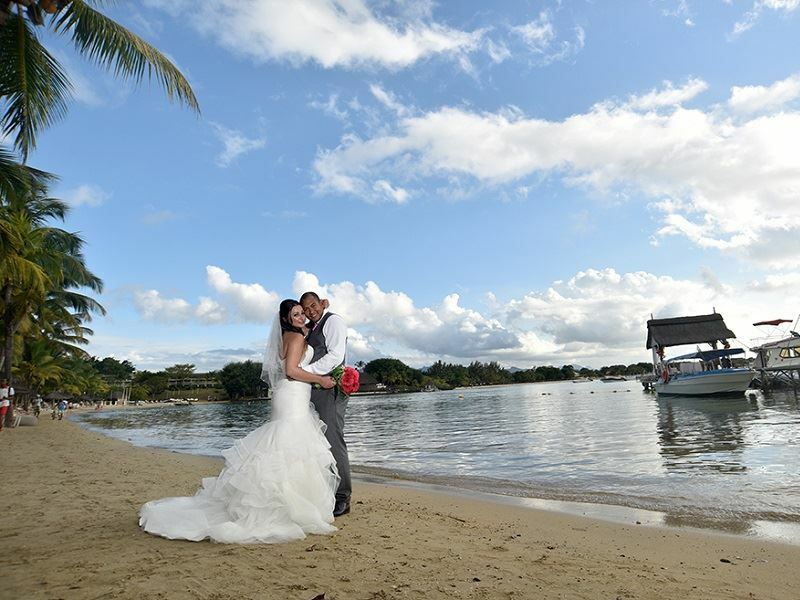 We all had an amazing time and an unforgettable wedding in Mauritius and couldn’t recommend it more to anyone who’s looking at staying there, whether you’re travelling as a couple or a family.